Microsoft is taking the next step in its commitment to empower people and organisations with access to critical intelligence: introducing Power BI Premium. 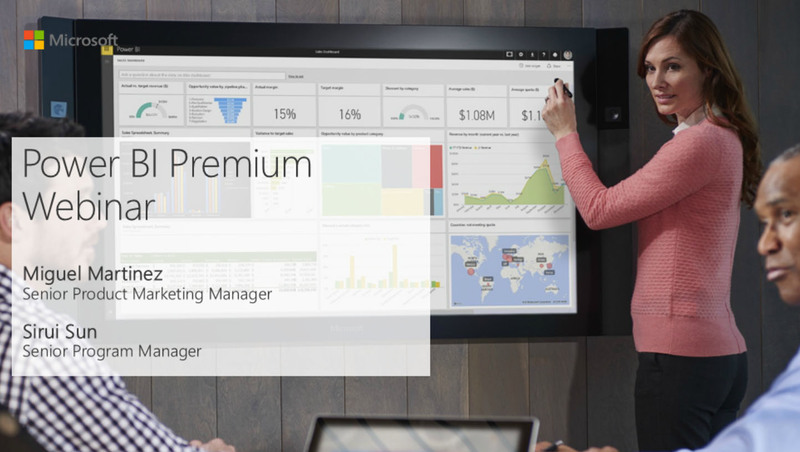 Power BI Premium builds on the existing Power BI portfolio with a capacity-based licensing model that increases flexibility for how users access, share and distribute content. The new offering also delivers additional scalability and performance to the Power BI service. Following the recent updates to Power BI and the introduction of ‘Power BI Premium’ we would like to share with you a On-Demand webinar from Microsoft. The webinar will take you through the latest updates to the tool, what the new changes will mean to you plus demonstrate the new Power BI workspace. You can view this On-Demand Webinar by filling in our form. Alternatively if you would prefer to speak with someone to understand how these changes may affect you, our team is here to help. You can contact a member of our team here.